Order to the Sigma PC 25.10, the watch comes in a box that shows a full advantage of clock.Red cap, white cardboard, a classic design SIGMA. When you open the package, you will find the heart rate monitor in a watch holder made of cardboard, a user manual and a chest strap. Also present, a handlebar mount for the bike. Here the heart rate monitor can be mounted in the driving training. The condition instruction shall give the user an overview of the functions mediated by images a first impression of the operation. The manual is divided into 7 different categories. The heart rate monitor is applied like an ordinary wristwatch. The PC 25.10 is used to receive and process the data obtained from the chest strap. The chest strap consists of two units, once the censor and the belt. Both together make the whole pulse belt. Thus, the heart rate can be properly identified, the Sigma chest strap must be applied over the heart, just below the chest muscles. The sensor itself should be on the sternum, the breastbone. The belt consists of an elastic and can therefore be individually adapted to their own body size. The basic length is also set two adjusting eyelets. So that the strap is not uncomfortably tight even with a larger chest. If the chest strap is applied and the clock on the wrist, it comes to synchronize with each other, the two devices. Here may well be problems in the cold state. So that the chest strap can receive the cardiac conduction from Sinunsknoten of the heart, the skin has to be moist.Are there any synchronization problems, simply moisten the sensor with spit or water. During the trip later ranging from welding. Note: Depending on the bicycle computer (BC) of the chest strap can also be coupled with this. The simple yet comprehensive heart rate monitor must be configured before training on the carrier, it is that we only at the edge, since these steps are all well described in the manual.After height, weight and workout goals (endurance, fat burning ( with cycling slimming ), toning) are entered. Also set is a maximum value for the heart rate. Because each person is different, the training should be assessed differently even with each. Especially in the beginning, one should not expect too much his heart. If you specify an upper limit as to 170 beats per minute, an audible alarm sounds when you exceed this heart rate. The data from the chest strap to ECG be exact, we have this compared with an ECG (0816 Corpuls) and could hardly find any discrepancies. The data is held in a 30-day storage in the clock and provide the opportunity to assess the performance condition over a month. Not worth mentioning, but also always with file exercise duration and time. The total data can be stored a maximum of 12 months in monthly and 12 weeks in the week compared. 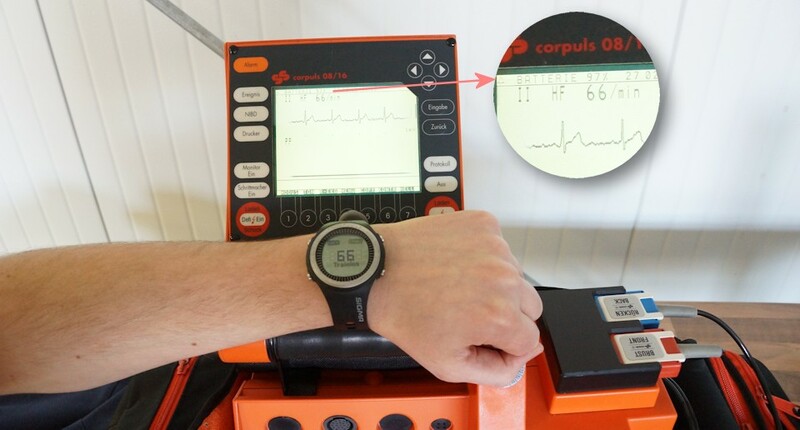 Thus, the clock does not get in the way with other pulse watches and equipment, the connection between the two devices is coded. So you have the opportunity with others who also have a model of Sigma to train without the computer mix the data. In order to supply the two devices with energy, Sigma uses a CR2032 battery. This button battery you get already for less than 5 Euro. It is advisable always a spare battery in the hindquarters to have. 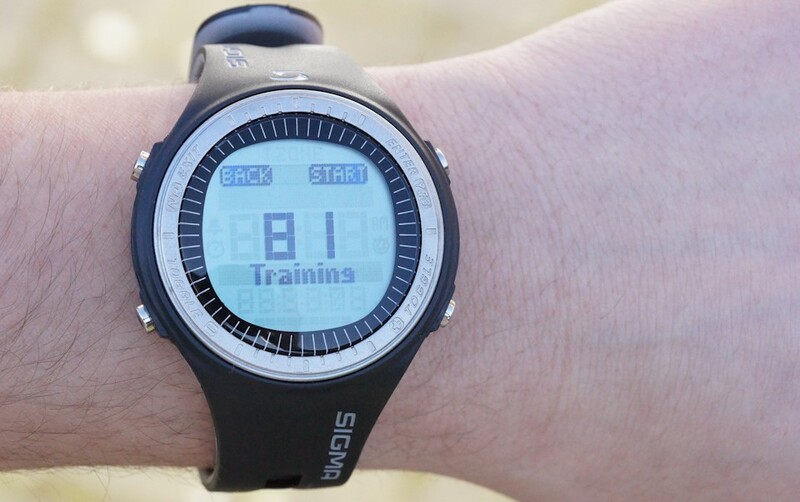 If the Training Mode is disabled, can the Sigma PC 25.10 wear as normal, sporty wristwatch.The watch is water resistant and can be used even in the rain. Functions such as the stopwatch can be used without the chest strap. Who’s never run with a chest strap, will be the first 10 minutes to get used to. At the end of the first round, we have not even noticed the belt. It is similar with the watch on your wrist.Since we are normal fashion without watch go, this was unusual at first. Binds to the clock tight enough that they will not slip, one notices the heart rate monitor after a few minutes no longer in running. 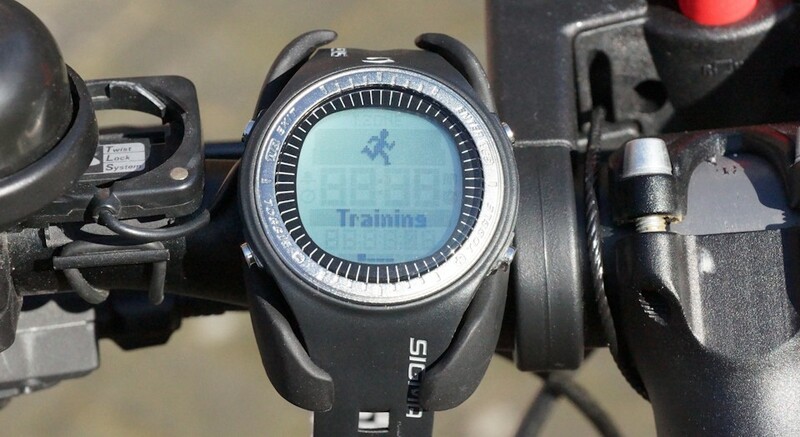 On a bike, you can firmly make to the handlebar holder, here the clock should not interfere. 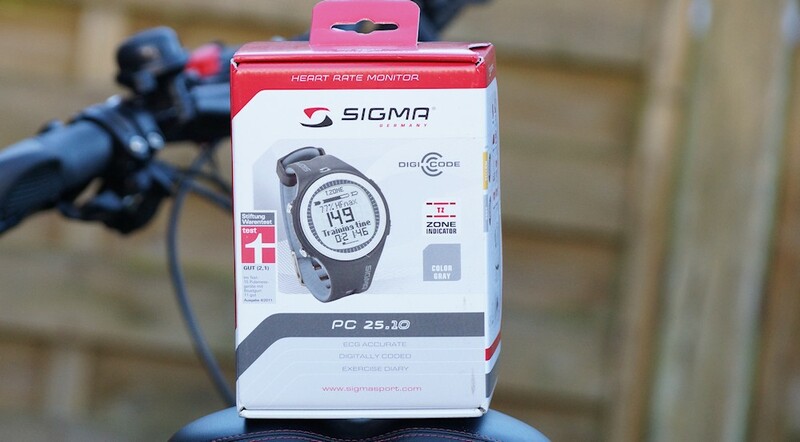 From us the Sigma gets PC 25.10 4.5 out of 5 stars. We can recommend the heart rate monitor as a boarding Ruhr, since this set is nothing wrong with doing what it takes to start.Seen priced the set with about 40 Euro can be seen. Other models in the heart rate monitor test .